Gerard Piqué is a centre-back with a goalscoring habit, that's a fact. His 38 for Barça are testament to that. His late arrivals into the area are as much a sign of his identity as his commanding defensive performances. His last goal, scored this past Sunday at RCDE Stadium, against Espanyol, served to draw the match (1-1). 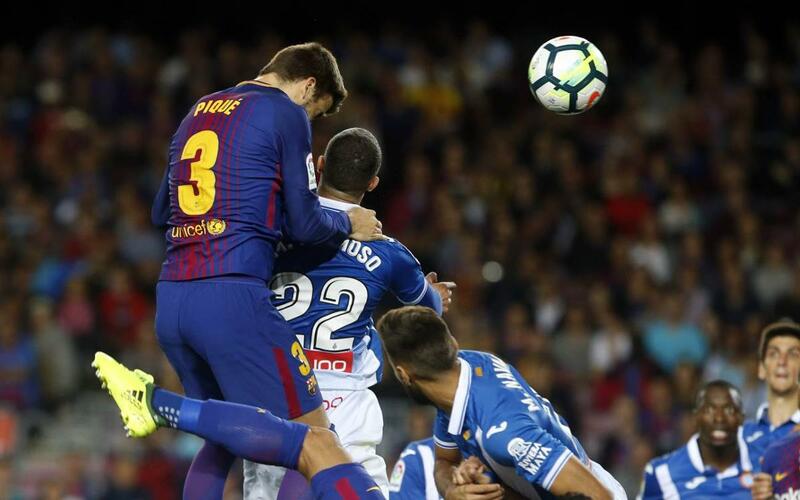 It was Piqué's sixth when playing the blanc-i-blaus, the team that he has scored the most goals against: four in the League and two in the Cup. Do you remember them all?